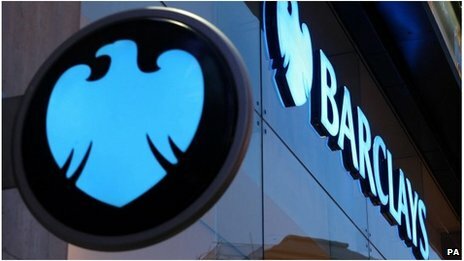 The Serious Fraud Office (SFO) has charged three former Barclays employees in connection with its investigation into the manipulation of Libor. Peter Johnson, Jonathan Mathew and Stylianos Contogoulas allegedly conspired to defraud between 1 June 2005 and 31 August 2007, said the SFO. The investigation into the alleged fixing of the key benchmark Libor rate was launched in 2012. Barclays was fined £290m ($454m) in 2012 by British and US regulators. Its previous fine was over the manipulation of Libor and Euribor interbank rates between 2005 and 2009. Barclays chief executive Bob Diamond and chairman Marcus Agiusresigned in 2012 after the scandal. Last month, three former Rabobank traders were charged in the US over allegedly conspiring to manipulate the Yen Libor benchmark interest rate since 2006. If convicted, the traders could face up to 30 years in prison. British citizen Tom Hayes, a former UBS and Citigroup trader, was charged in June 2013 in connection with the SFO’s investigation. Meanwhile, the Royal Bank of Scotland (RBS) was fined £390m by authorities in the UK and US for its part in the Libor rate-fixing scandal in February 2013. In August 2012, it was announced that seven other banks, including HSBC, Citigroup, Deutsche Bank, JPMorgan and Swiss bank UBS, would face legal questioning in the US. UBS was fined a total of $1.5bn by US, UK and Swiss regulators for attempting to manipulate Libor in December 2012.